You must make reservations at least 5 minutes in advance of the time at Gordon Biersch Brewery Restaurant - Annapolis. Visit was fine as usual but on the loud side because of others watching “March Madness”. I had the chicken and pear salad which was excellent. My daughter had tacos which were excellent as well. She also did the beer tasting and enjoyed them. Our server was super. Good food and service, as always. The Annapolis store is very nice, the staff is always helpful and alert to your needs! I try your beers all the time , but i am sorry to say i can not find one that i enjoy. I would like to see more bottle beer available because the food taste better with a cold beer. Service and food is always amazing! It’s always best to book a reservation with them on the weekends as there might be a wait if you don’t. All of our meals were delicious. The fish and chips was perfectly cooked with crispy fish and delicious garlic fries. I had a reservation and arrived early; still, they seated me right away. The only drawback was no eating utensils until I asked for them. 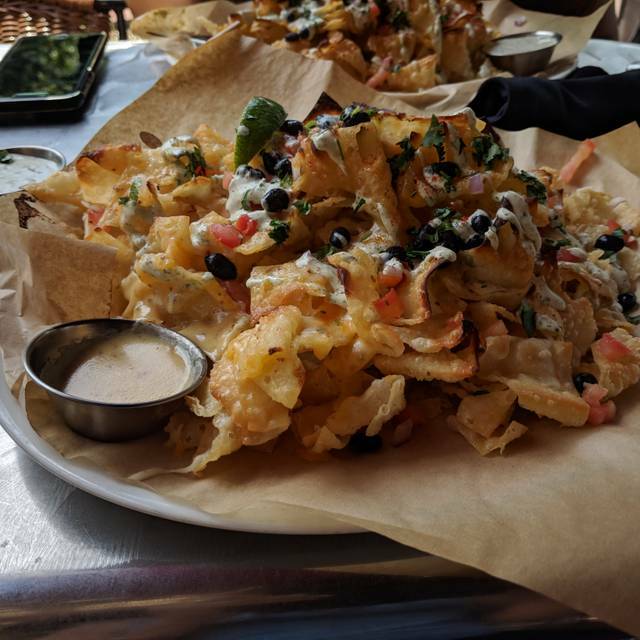 This was our first time at Gordon Biersch Brewery Restaurant and we will be going back! That staff was very helpful and friendly, the food was great, and the atmosphere outstanding. The food was excellent and the service was impeccable. Great meal, great beer, great service. Definitely coming back! Great beer, garlic fries, and appetizers. Food is solid, although there needs to be more viable vegetarian options. Had the chicken bruschetta and it was fabulous with the new carrot & zucchini noodles. We are regular patrons at this Gordon Biersch restaurant. The food is ALWAYS on point, however this time it fell short of the mark. I always get the Ribeye and Gorgonzola. Whereas the presentation and taste have consistently been Top Notch, at this visit it was not. The steak cut was a bit tougher than usual and not nearly as juicy. It was sloppily thrown over the garlic mashed potatoes with a scoop of “broccoli STUMPS” on the side. My entire side dish (vegetable of the day which was broccoli) had only one small floret in a bunch of stem pieces. Very disappointing. As I said previously, this is NOT the norm for this place, which I guess is why it was so upsetting. The staff was fine, no issues there. The food was not all that spectacular given the high Annapolis prices. As always, the food and service were great. Love their "bratwurst sliders" and the mashed potatoes as a side are wonderful. This time I tried sweet potato fries instead -- they were fine, but not great. My husband got the spinach as a side dish -- it was fantastic. Our waitress was excellent. She had a very sweet personality and was very attentive to our needs. Food was good but they seemed understaffed and were out of a lot of drink items. Kobe burger was not great. Usually good. Fries greasy and warm not hot. Balsamic chicken over zucchini noodles was lukewarm. Appetizer and salad came at same time. Wait for food- way too long. Loud too. Jeffrey is the bomb! We now ask for him when we dine at GB! He is friendly, funny, and very engaging. We enjoy his company! The family had a good time and we were seated right away using our reservation through open table! We had a great time! A fun spot to meet out-of-town friends. i had the cajun pasta and it was great but the portion size was laughable, they need to do better. Great meal and amazing service from our waiter, Brian... we will definitely go back again!!! Great food, great service, delicious beer and affordable date night! Great food, drinks and atmosphere. Well worth the visit. Always good food and excellent service from Katie. Making a reservation was definitely the best way to go for a Saturday night! We were 20 minutes early and our table was still ready which was great. The food has gone downhill. I got the California chicken sandwich and the chicken was so small. The fries and beer were great though! Service was slow and waitress was not knowledgeable about the food items. Good food and brew. Plenty to eat and take home. All seating in booths.